With studio-quality design, sound and performance, CR Multimedia Monitors deliver everything you expect from a Mackie studio monitor without breaking the bank. Ideal for home studios, multimedia creation and entertainment, and AV post-production and broadcast, CR monitors are great for any desktop in any situation. Two different models are available (CR3 3” monitor, and CR4 4” monitor), ensuring a cost-effective multi-media monitoring solution for everyone. 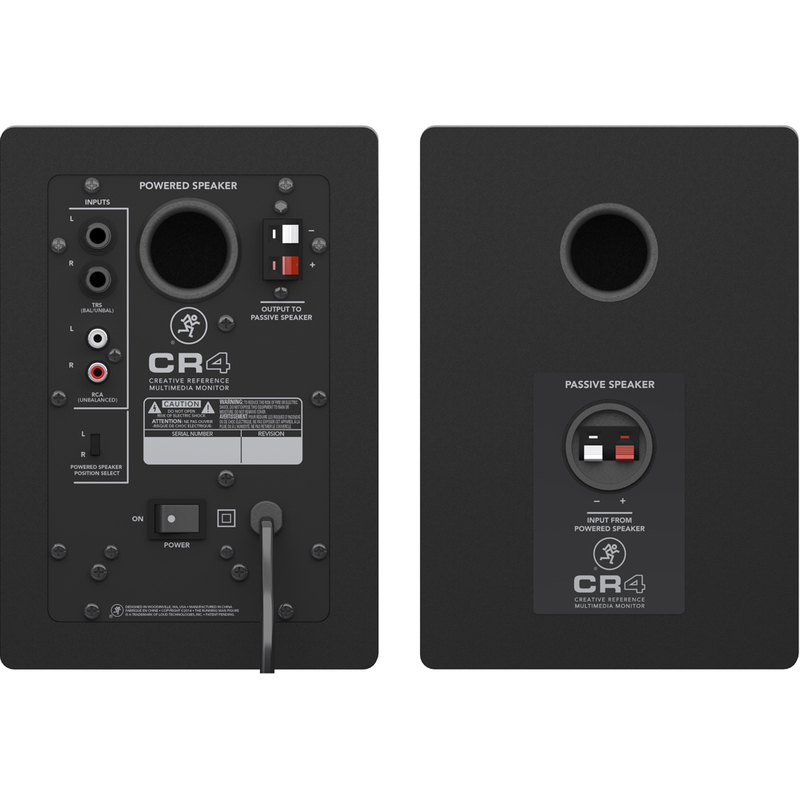 CR delivers some ultra-handy features like a front panel aux input for your smartphone or tablet, headphone out and a volume knob that doubles as an on/off switch. There’s even a left/right speaker placement switch that lets you decide which side of your setup has volume control. 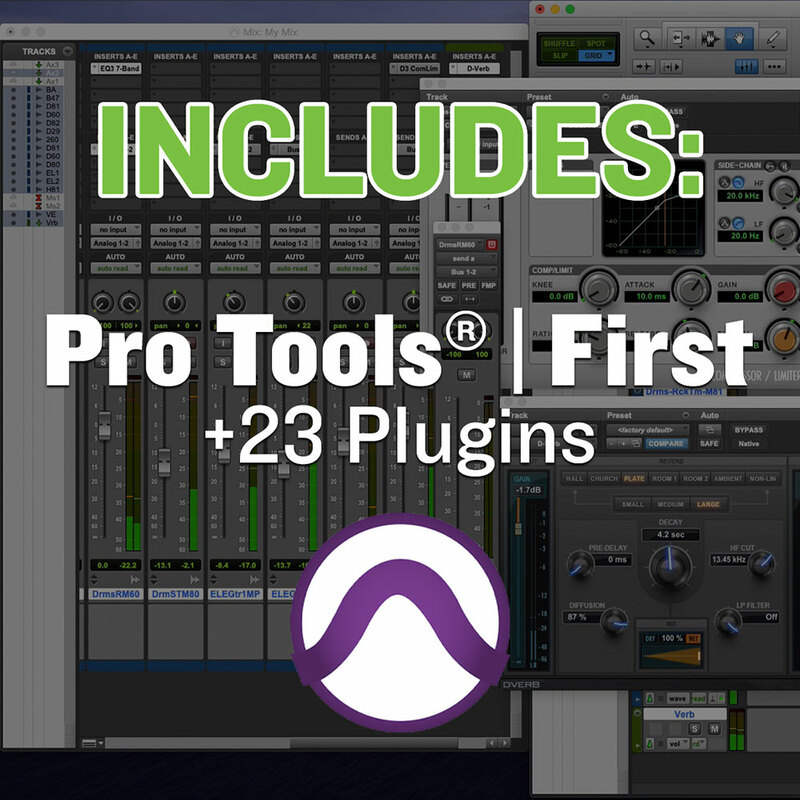 CR monitors come with everything you need to get started right away. 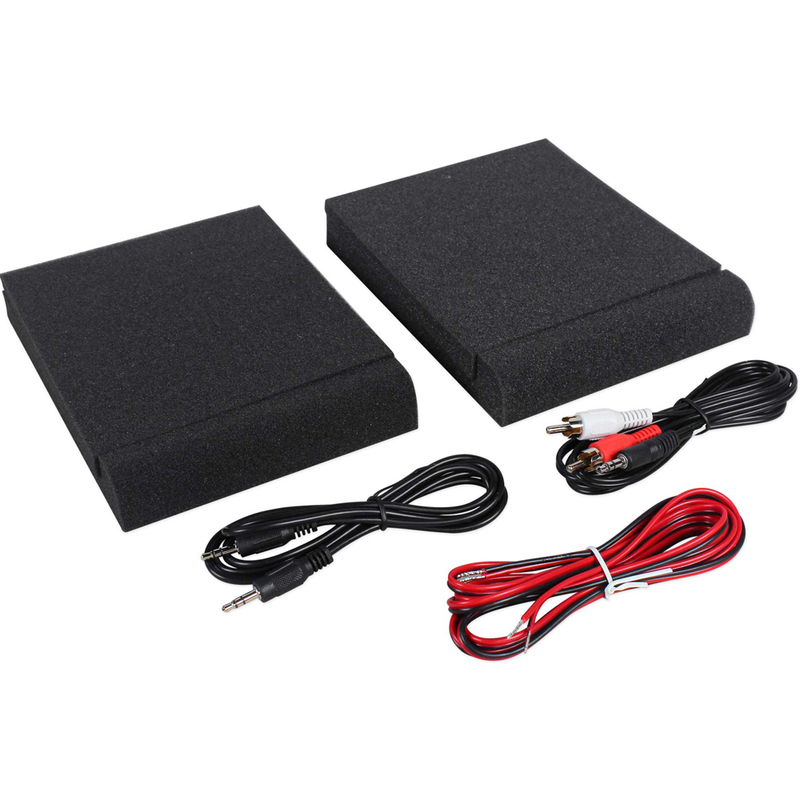 Acoustic isolation pads minimise boomy bass build-up and provide up/down tilt control for more focused listening. There are a choice of I/O for almost any audio source, including a 1/8” to stereo RCA connector for PC/MAC and a 1/8” to 1/8” cable for smartphones, etc. There’s also a speaker to speaker cable included. 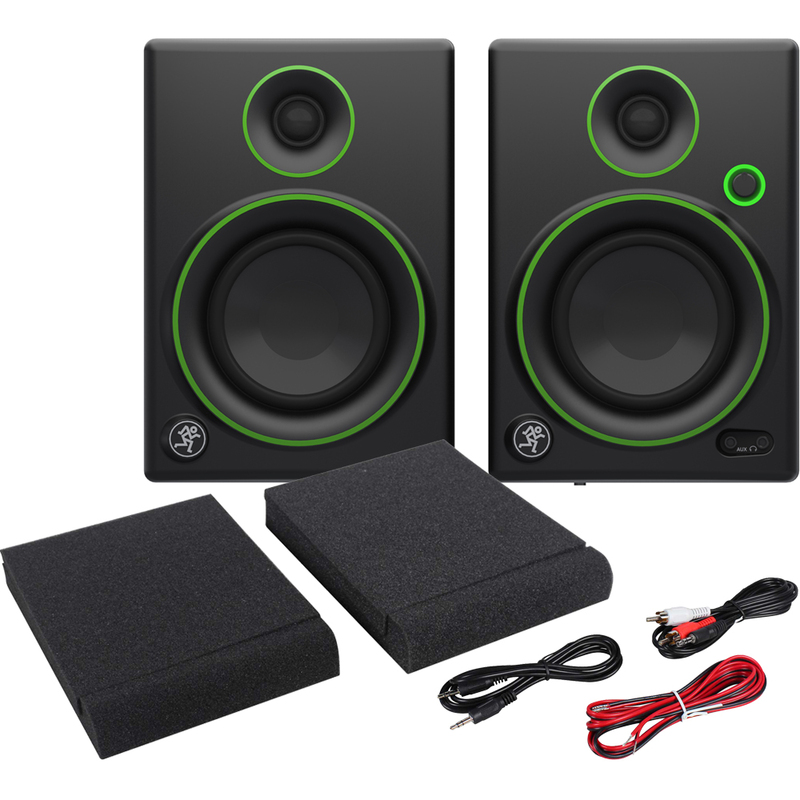 With high-output drivers, a true studio-monitor waveguide system and an all-wood cabinet, these ultra-compact monitors deliver premium results due to meticulous design. 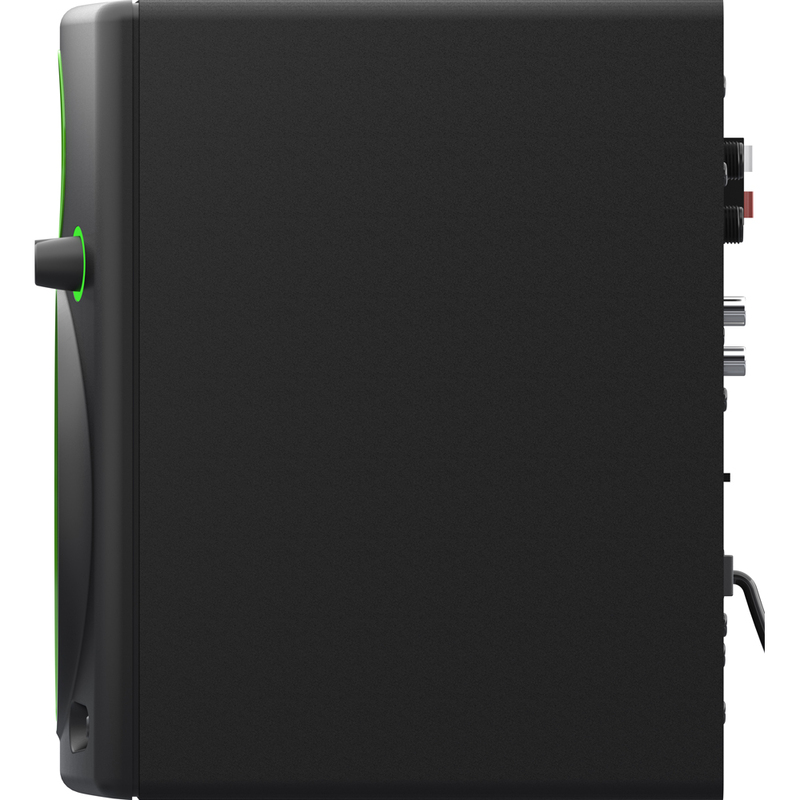 No other monitor at this price can deliver the quality and performance of Mackie CR monitors. These are good. They’re not the best, but they’re good. 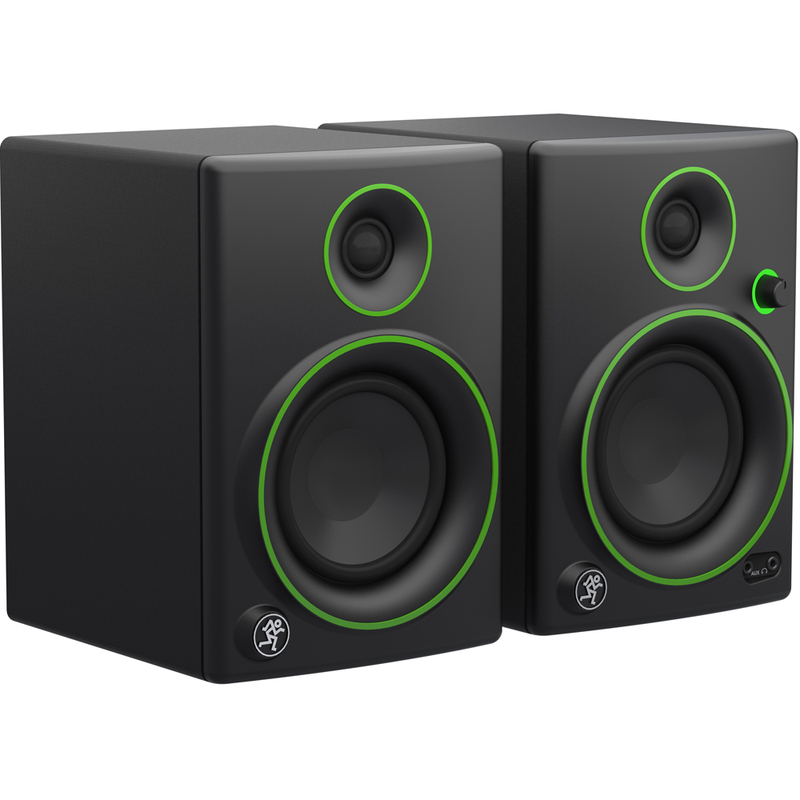 The bass that others have raved about from these units, is somewhat lacking in my opinion. Don’t get me wrong. They’re a nice crisp sounding monitor, but for me the punch just isn’t there. Well made, and better than Pioneer equivalents, but doesn’t quite hit the spot for me personally. Having said that, I would recommend these, as there are far worse out there. Super impressed with these speaker considering the price. I've always known Mackie to lead the field but assumed there would be compromises on these as they are so cheap but the sound quality is amazing. Really pick up the details on every level. Would advise anyone to buy even if just for movie and gaming. Bought these for my son's birthday. Arrived very quickly and he seems very happy with them. Price very competitive.